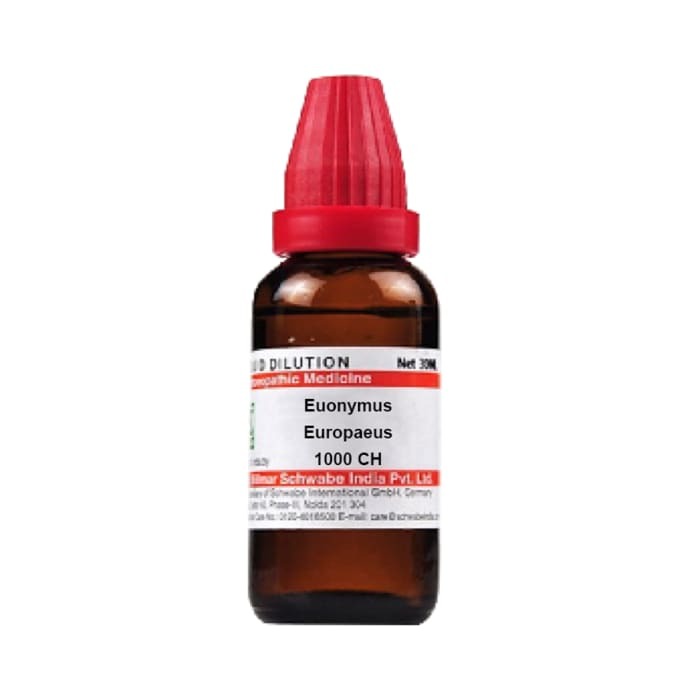 Dr.Willmar Schwabe India Euonymus Europaeus Dilution is a homeopathic medicine that helps in healing liver disorders, gastric derangements, violent vertigo, pain in the vertex, eye pressure, temporary blindness, roaring in the ears, violent chest pain, etc. It also treats the paralytic pain of the hip and pelvis region. Take this medicine as directed by the physician.